Because Sunbrella fabrics last longer, people use less fabric and generate less waste as compared to other fabrics that might fade, lose strength or succumb to mildew and atmospheric chemicals. In addition, their unique coloring process eliminates the harmful chemical effluents of conventional dyeing processes and reduces wastewater. Sunbrella fabrics are GREENGUARD certified as contributing to healthy indoor air by being a very low emitting interior product. 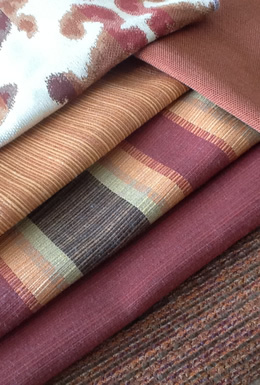 Sunbrella Renaissance fabrics were created with two objectives in mind: creating beautiful, vintage inspired upholstery fabrics and recycling post-industrial fabric waste. Heritage’s 50/50 blend of virgin and recycled Sunbrella fiber gives it distinctive charm, high performance and 100% Sunbrella reliability.